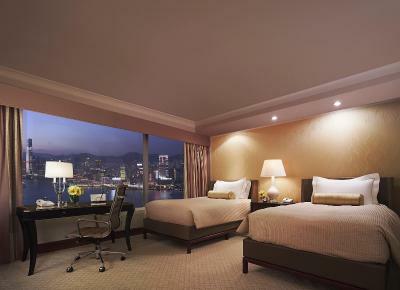 Lock in a great price for Conrad Hong Kong – rated 8.5 by recent guests! 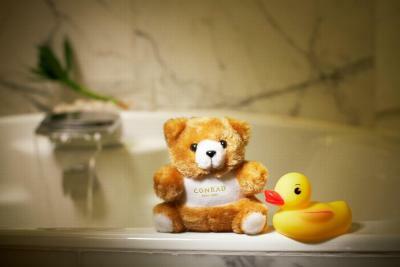 The room was a bit smelly and they didn’t offer the Conrad teddy bears. The design of the bathroom is not so user friendly. The swimming pool is quite nice though. Traveling with newborn twins is always a challenge. Conrad ensured everything went smoothly, from airport pickup with infant car seats to connected adjoining rooms to proper cribs. 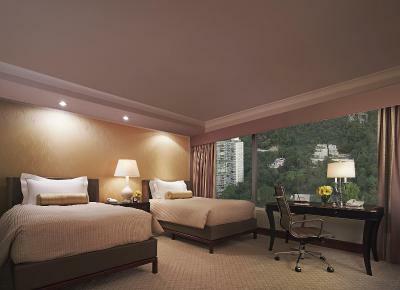 Excellent location, near MTR, makes traveling around Hong Kong fast and easy. everything. love everything about the hotel, the facility, breakfast, room, bathroom, view. 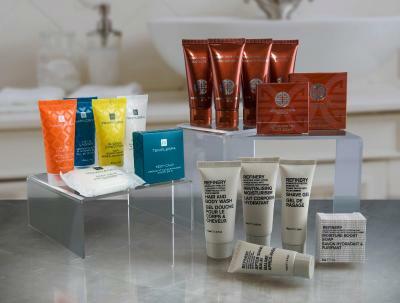 As a Diamond member of Hilton Honors program, we are always treated royal and got great complimentary upgrades. I would recommend this to anyone. Breakfast spread was of great varieties and staffs were nice. Room was really clean and nicely decorated, housekeeping staffs were especially nice. 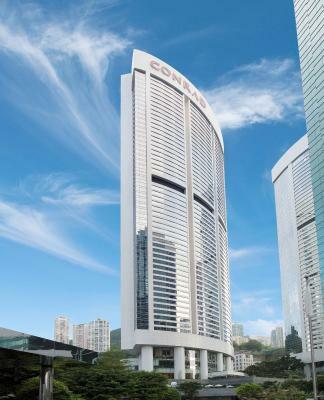 Conrad Hong Kong This rating is a reflection of how the property compares to the industry standard when it comes to price, facilities and services available. It's based on a self-evaluation by the property. Use this rating to help choose your stay! 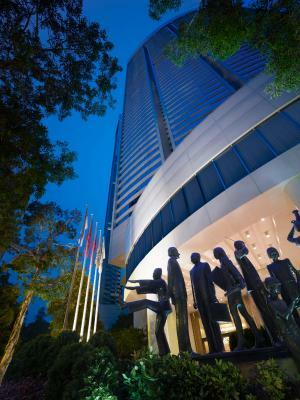 One of our top picks in Hong Kong.Conrad Hong Kong is directly connected to Pacific Place, a prestigious shopping and entertainment complex. 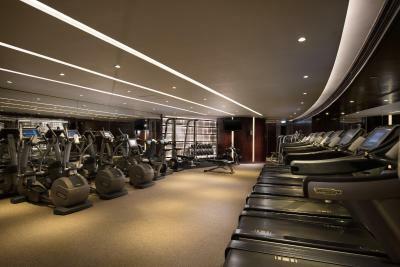 Apart from stylish rooms, it houses award-winning food and beverage options, an outdoor heated swimming pool and a 24-hour fitness center. 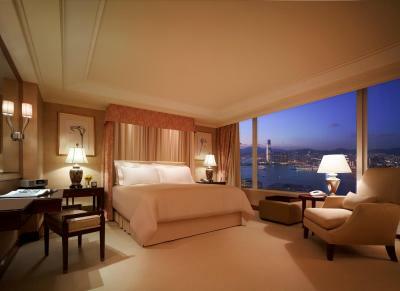 Spacious and contemporary rooms overlook views of Victoria Harbor and Victoria Peak. 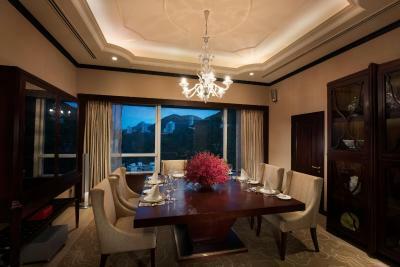 Each is equipped with a flat-screen TV, DVD player and mini-bar. The elegant marble bathrooms have a bathtub and hairdryer. 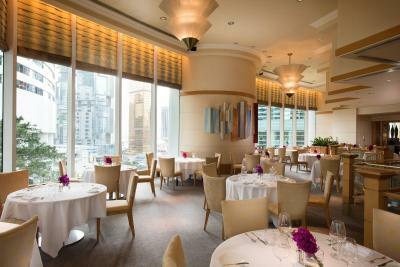 Conrad Hong Kong is a 5-minute walk from Admiralty MTR Station in Hong Kong's Central Business District. With the MTR South Island Line, it takes only 4 minutes from the hotel to Ocean Park or 10 minutes to explore the south side of the Island. 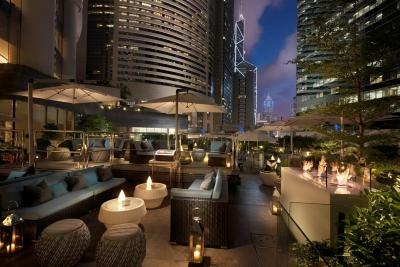 It is a 10-minute ride to the famous Ladies Market in Mongkok by subway and a 30-minute drive from Chek Lap Kok International Airport. 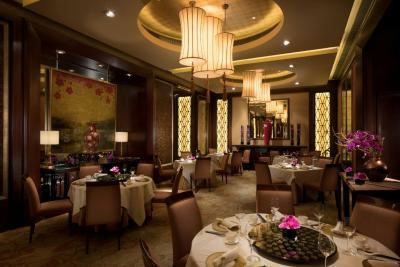 Award-winning Nicholini's serves authentic Italian dishes, while Golden Leaf Restaurant offers Cantonese specialties. 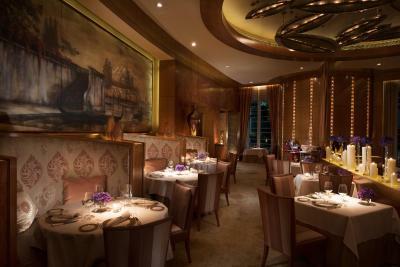 Other dining options include international buffet spreads at Garden Cafe and wine at Pacific Bar. 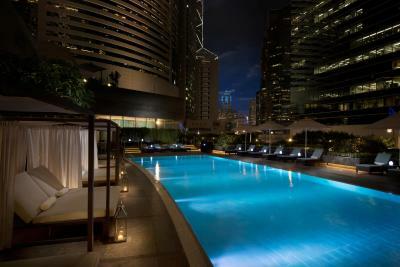 The outdoor heated spa pool provides a relaxing atmosphere to unwind after a busy day. 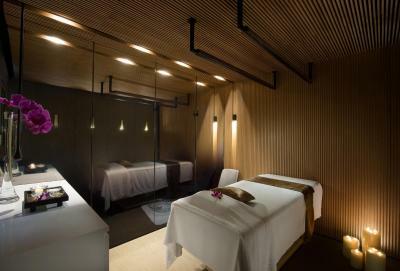 Conrad Hong Kong also offers sauna, steam room and massage services. 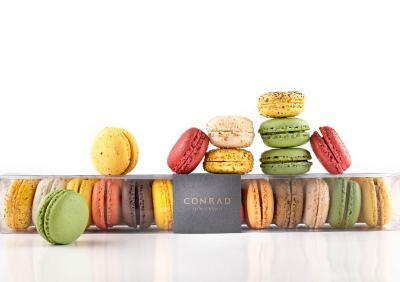 When would you like to stay at Conrad Hong Kong? 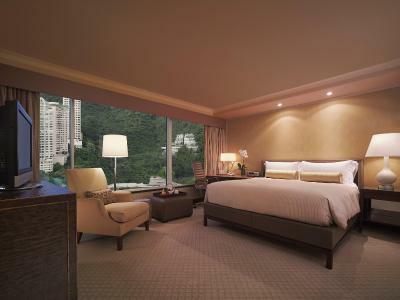 Located from the 40th floor and above, guests can relax in this modern guest room overlooking the picturesque Victoria Peak. 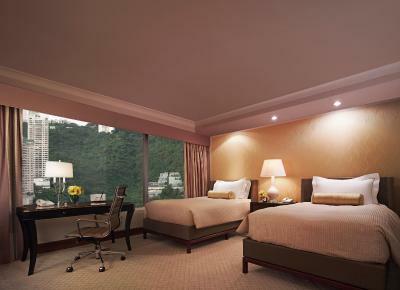 The room offers a king-sized bed and an LCD TV. The elegant marble bathroom comes with a double sink, deep-soaking bath and separate shower and toilet. Other features include a workstation, tea/coffee making facilities and a fluffy bathrobe and slippers. 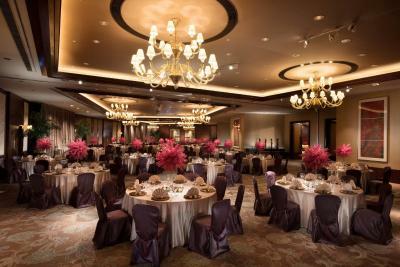 Private parking is available at a location nearby (reservation is needed) and costs HKD 600 per day. 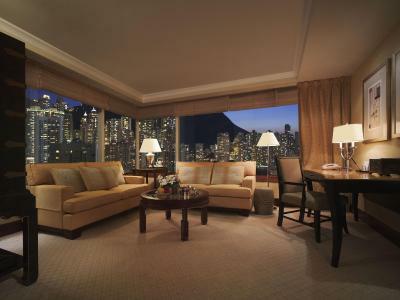 Located from the 40th floor and above, guests can admire panoramic views of the stunning Hong Kong skyline from the comfort of this Deluxe guest room. The room has a king-sized bed and a TV. The elegant marble bathroom comes with a double sink, deep-soaking tub and separate shower and toilet. Other features include a workstation, tea/coffee making facilities and a fluffy bathrobe and slippers. Located from the 40th floor and above, guests can relax in this modern guest room overlooking Victoria Harbor. The room has a king-sized bed and an LCD TV. 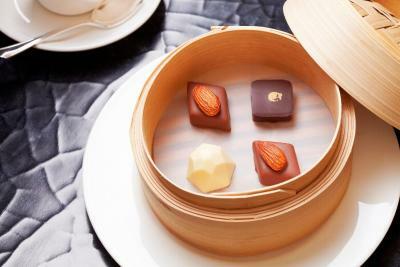 Each room also offers a workstation, capsule coffeemaker, marble bathroom with amenities and a fluffy bathrobe and slippers. 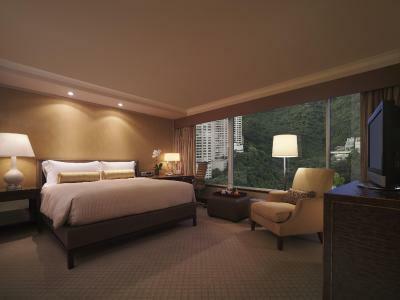 Located from the 40th floor and above, guests can relax in this modern guest room overlooking the picturesque Victoria Peak. The room offers twin beds and an LCD TV. 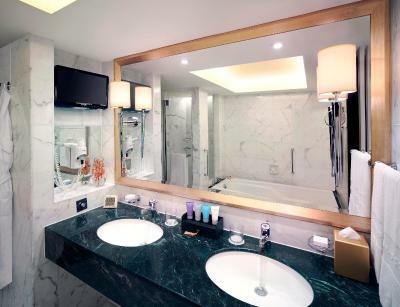 The elegant marble bathroom comes with a double sink, deep-soaking bath and separate shower and toilet. Other features include a workstation, tea/coffee making facilities and a fluffy bathrobe and slippers. 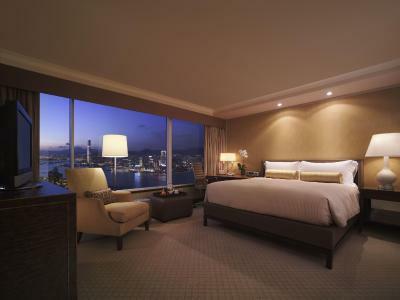 Located from the 40th floor and above, guests can admire panoramic views of the stunning Hong Kong skyline from the comfort of this Deluxe guest room. The room offers twin beds and a TV. The elegant marble bathroom comes with a double sink, deep-soaking bath and separate shower and toilet. Other features include a workstation, tea/coffee making facilities and a fluffy bathrobe and slippers. 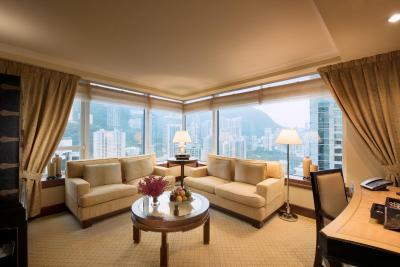 Executive Peak View Rooms, located from the 40th floor and above, offer guests exclusive access to the Executive Lounge and splendid views of the picturesque Victoria Peak. - Free pressing services (up to 4 items) upon arrival. 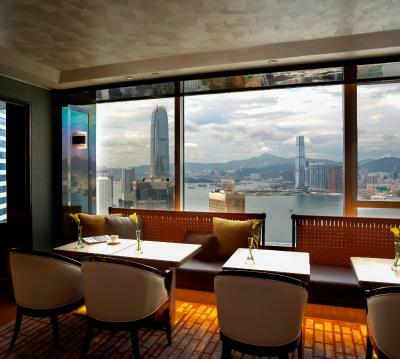 Executive Harbor View Rooms, located from the 40th floor and above, offer guests exclusive access to the Executive Lounge and stunning views of Victoria Harbor. 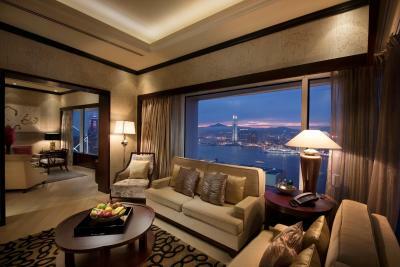 Located from the 40th floor and above, guest can relax in this modern guest room overlooking Victoria Harbor. The room offers twin beds and an LCD TV. Each room also offers a workstation, capsule coffeemaker, marble bathroom with amenities and a fluffy bathrobe and slippers. 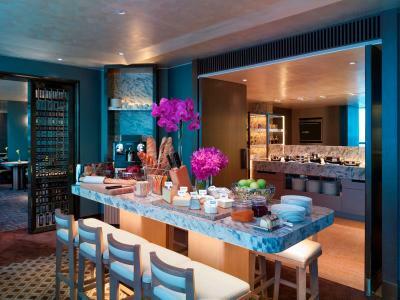 These modern and spacious suites, located from the 40th floor and above, feature a comfortable living room, a separate bedroom and an additional guest bathroom. 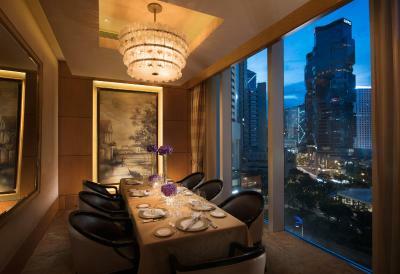 Views of Victoria Peak can be enjoyed from its large windows. 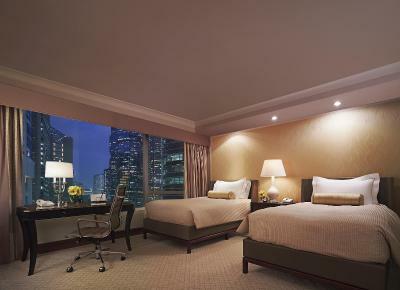 These modern and spacious suites, located from the 40th floor and above, feature a comfortable living room, a separate bedroom and an additional guest bathroom. 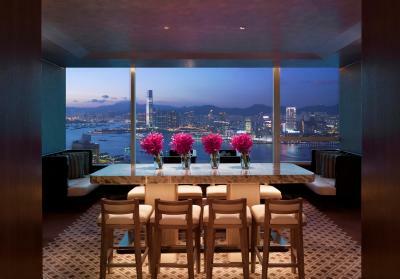 Views of Victoria Harbor can be enjoyed from its large windows. 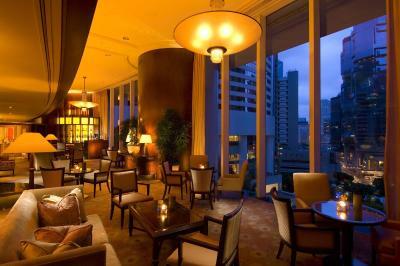 WiFi is available in the hotel rooms and costs HKD 120 per 24 hours. 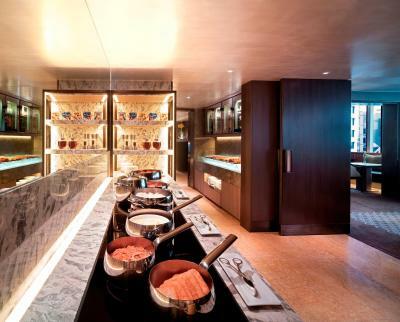 House Rules Conrad Hong Kong takes special requests – add in the next step! 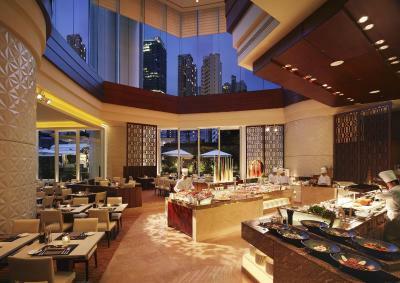 Conrad Hong Kong accepts these cards and reserves the right to temporarily hold an amount prior to arrival. Please note that the credit card used to secure the booking must be presented for verification purposes during check-in. 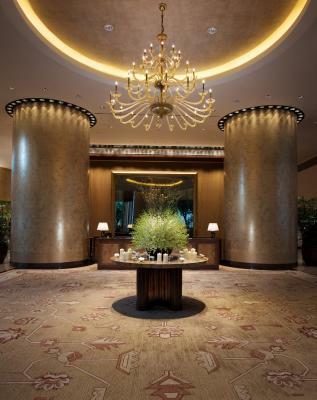 Guests who are unable to present the credit card used during the booking will be requested to present another credit card, or a credit card authorization form. 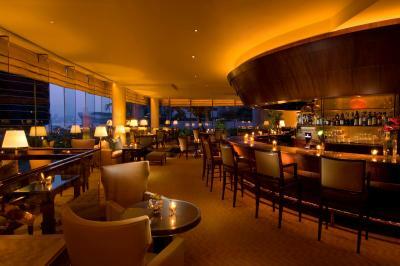 The property only accepts the Hilton Worldwide Standard Credit Card Payment Authorization Form. I asked a dehumidifier for their room, but maid never did throw awayreserved water even my parents left a tip. My parents love breakfast buffet and music performance at lobby lounge. Large comfy bed with large bathroom. 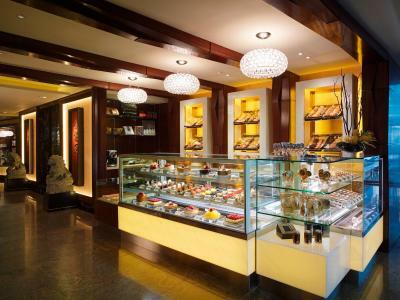 Extremely helpful friendly staff that go that extra 10 percent. 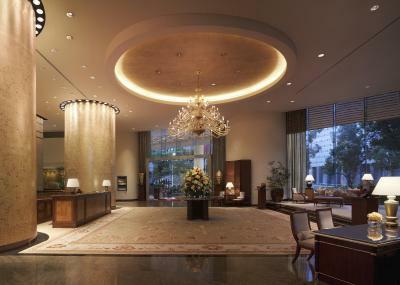 This hotel has been our “must-stop-and-stay hotel whenever we visit HK! We have only managed to stay for 2 nights, although it’s short, we enjoyed so much! 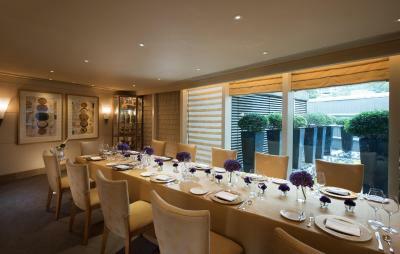 The location just perfect for catching up with friends, all public transports around this area are unbeatable! I’d like to special shout out for the lovely housekeeper on our floor (50th) her name is Chong, her friendly and cheerful personality are the extra bonus for our stay this time! Hope to see her again this August!!! Asked for a double room and was given only a twin bed room which did not have much space to move around. 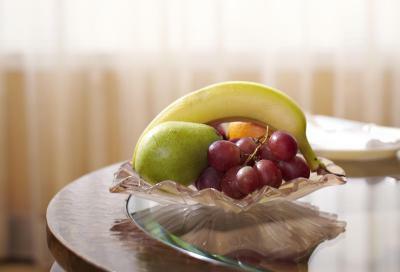 The buffet ran out of fruits. Noone came to replace it. The concierge was not helpful. The staff was not quick enough and could not process my checkout. The staff was rude too. Not apologetic or nice about the wait. Extremely comfortable bed, lovely bathroom with fabulous shower. Great breakfast. Helpful, friendly staff.